What Sadie Did: New in! How cute is this box? OMG this is amaaaazing!!! I love it! She knows me so well! My favourite perfume - G of the Sea. Couldn't get it for hide nor hair the last few months so I ordered two bottles to my address in the UK for my trip home. Now I have two more here!! And I also bought Harajuku Lovers in 'Baby'. They were $60 instead of $100. I bought three OPI colours - two potentially as gifts for my sisters when I go home (the gold one is MINE though!). They were just $12 each. And a couple of other bits and bobs. Now I just need to find somewhere to store them all! I also totally splurged on a nightie and pair of trousers on Sunday. 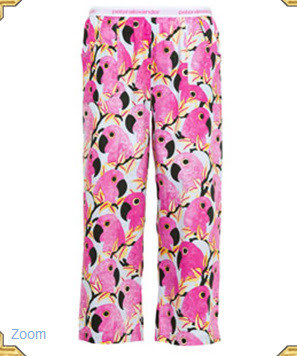 Australian designer Peter Alexander does THE most amazing sleepwear. The store always smells amazing too because they light these gorgeous candles - I've come close to buying a $60 candle on a few occasions!! Help! I paid $60 for a cotton nightie. Am I mad? Probably. But I do love birds. And coughed up $60 bucks for these trousers. Also a sign of madness. But with packaging like this, how can a girl resist?! Do you have any favourite beauty products you bulk buy? WTF!? I have nevr seen G of the sea. I have all those harajuku lover perfumes, but the G of the sea? Does it smell differently than G? I should have tweeted u this ha. I'm mad for mermaids! 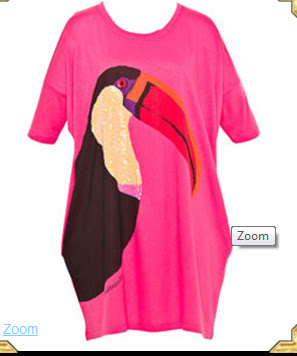 Love all your new purchases, especially the nightie! Too cute and soooo you! The teacup ring is just toooo cute Sadie & I love your sparkly gold nail polish - can't wait to see it on. I don't really bulk buy beauty products, but do always go mad at Duty Free when I'm travelling!!!! CUTE ring! I LOVE G of the SEA! Bulk beauty products? Do soap and deodorant count? Love the gifts and you bought a lot of stuff! Ha.. although I dont think 20 minutes is enough time to do any kind of shopping..
OMG such a cute ring. Love the necklace too. I wish I bought more things for myself. Unfortunately its been about three months since I bought anything for me. Maybe I will get a chance after the holidays. How cute is that ring your friend sent!? Adorable!!!! wow really great stuff love the jewelry and the nail polishes! !